Complex Socio-technical systems (CSTS) rely on multiple types of localized resources, whose management is a crucial challenge for the optimal performance of the system. These systems are often operated in highly uncertain environments, because of this it is difficult to anticipate demand for resources in various parts of the system at every moment of time; this means that even if the total demand for a resource can be met, achieving an efficient distribution of the resource is not a trivial challenge. The efficient distribution of resources is a strong function of the system architecture, thus modeling this interdependency—that of the architecture and resource allocation mechanisms—becomes an important area of research in CSTS engineering. Having the connectivity structure as a lens in mind, one can ask a host of crucial questions: Which network architectures allow for most efficient resource access under uncertainty? How much the efficient architecture will be different if autonomous components have discretion to choose their interactions – which is the case in many human-centric complex systems? How much efficiency can be lost this way? How can the architecture be designed to govern collective behavior of CSTS? i.e. To make them more cooperative, more trustworthy, etc? In this webinar, we take a complex network perspective to introduce a framework for studying the interactions of (potentially) autonomous system components and the design of the connectivity structure in CSTS to facilitate resource management under uncertainty. We discuss resource sharing as a mechanism that adds a level of flexibility to distributed systems and describe the connectivity structures that enhance components’ access to the resources available within the system. We discuss central and a distributed schemes that, respectively, represent systems in which a central planner determines the connectivity structure and systems in which distributed components are allowed to add and sever connections to improve their own resource access. Furthermore, we present how the role of connectivity structure on collective behavior can be captured, modeled, simulated and verified. 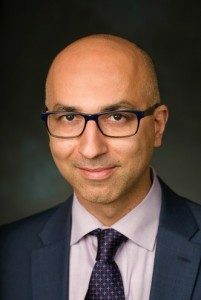 Babak Heydari is an assistant professor at the School of Systems and Enterprises, at Stevens Institute of Technology and the director of Complex Evolving Networked Systems Lab. He holds a PhD in Electrical Engineering from University of California at Berkeley with a minor in management and economics and has three years of industry experience in Silicon Valley. Dr. Heydari has a diverse set of research interests and academic backgrounds and does interdisciplinary research at the intersection of engineering, economics and systems sciences. His current research, is on developing model-driven approach in analysis, design and governance of Complex Networked Systems. His research interests are network resource sharing formation and diffusion of collective behavior, modularity, emergence and evolution of collective behavior and the co-evolution of structure and behavior in complex networks. His research has been funded by NSF, DARPA, INCOSE, SERC and a number of private corporations. He was the recipient of NSF CAREER Award in 2016.